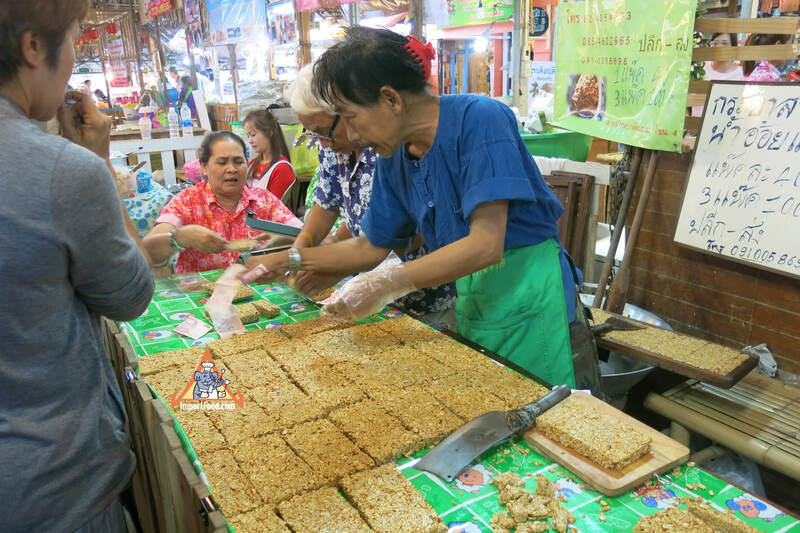 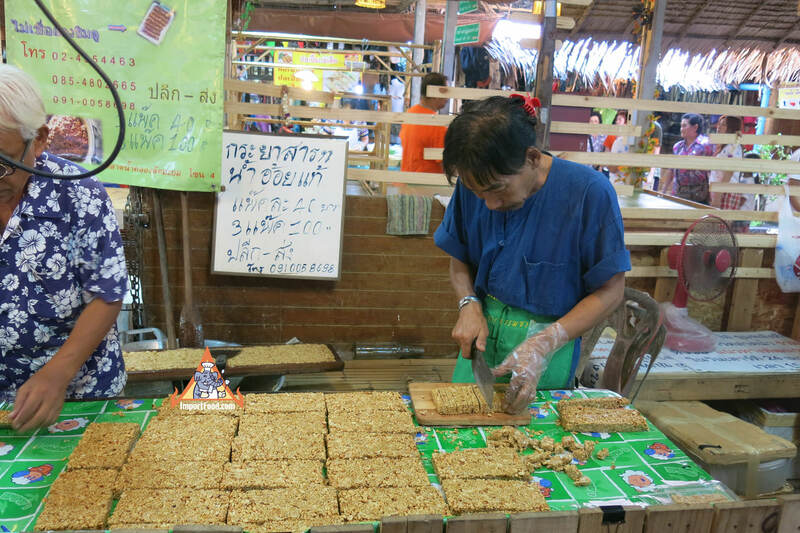 In this market two craftsmen prepare a sticky mixture of peanuts, palm sugar and sesame seeds. 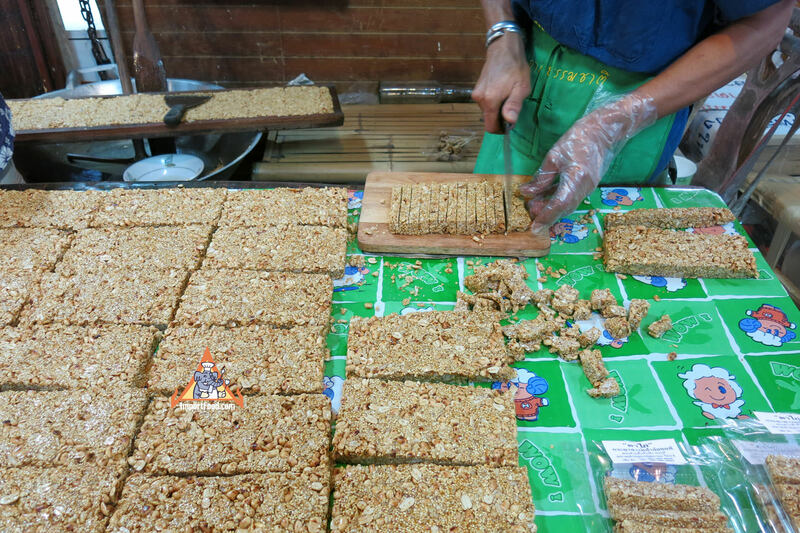 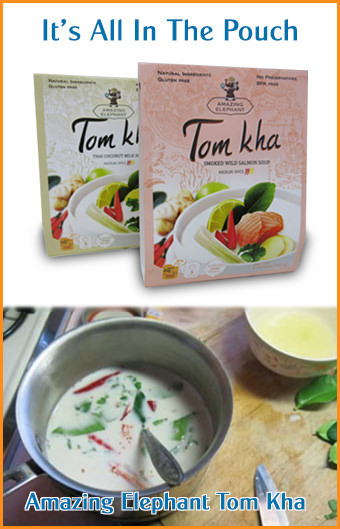 The mix is rolled out into a flat sheet then hand-cut and portioned into a nice package which is sold for a reasonable price. 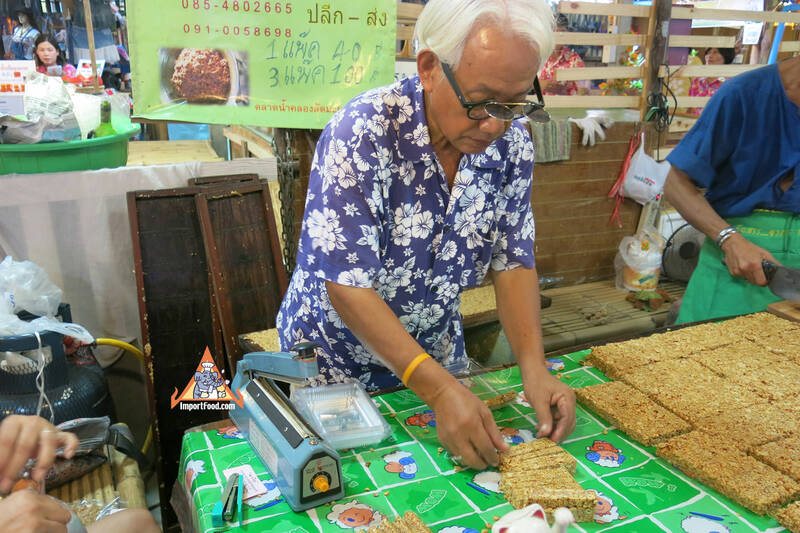 Selling a handmade, all-natural snack like this is a great way to make a living, these two seem to enjoy their work very much. 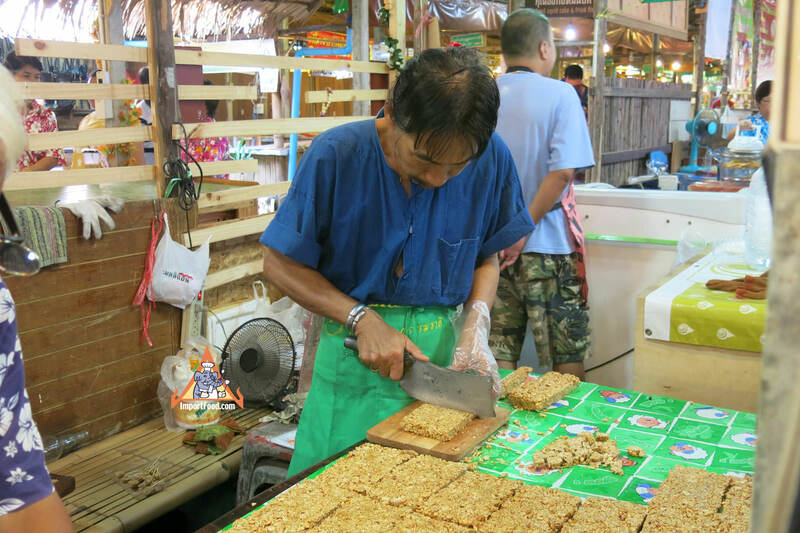 You might notice they use our machete cleaver to cut the snacks.